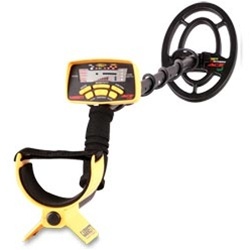 Treasure hunting has been taken to a new level with Garrett's popular ACE 250 metal detector. Many of the leading edge technologies and features from the GTI and GTAx lines have been packaged into the Ace 250, the most aggressive, rugged outdoor design in the industry. This detector will never stop impressing you - or finding treasure with its custom notch discrimination, pinpointing, adjustable sensitivity and depth setting as well as the 6.5" ACE PROformance searchcoil.